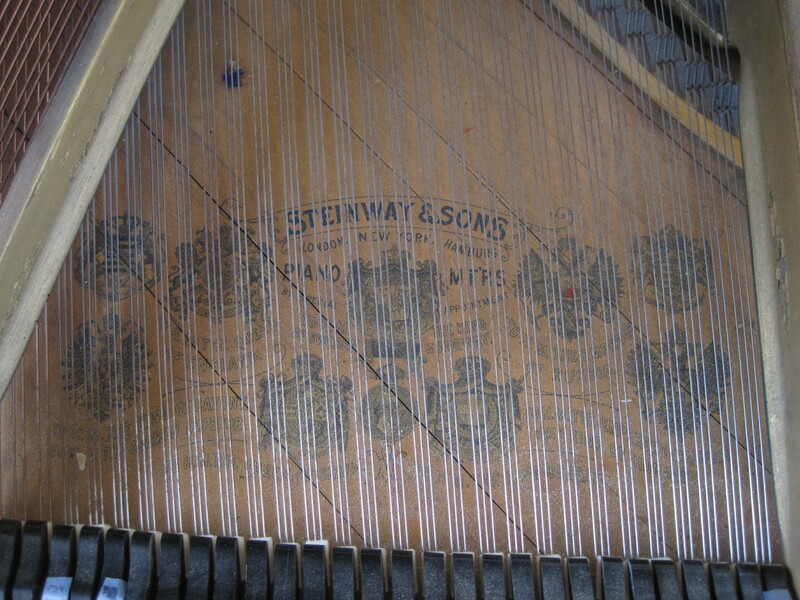 The primary piano in the house is an 1898 Model A Steinway. It has, since 1898, always been in the corner of the big Keeping Room. 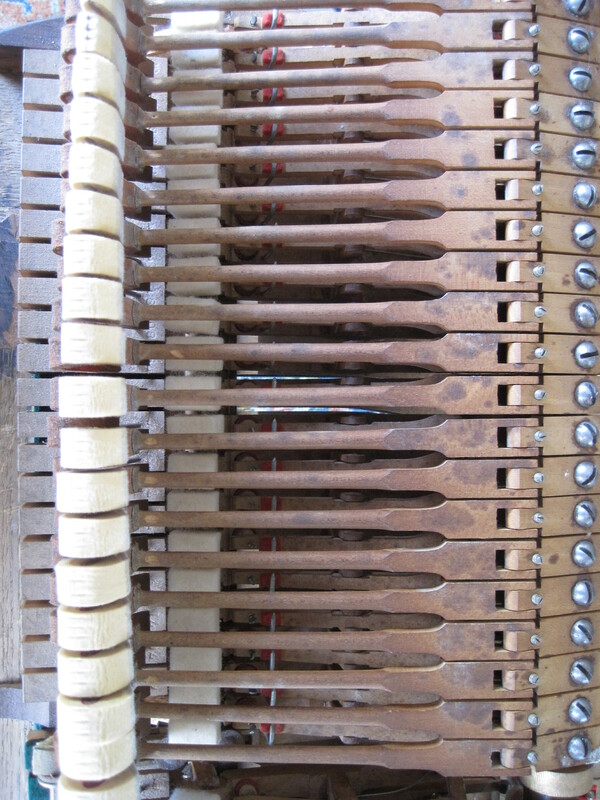 It possesses a classic Steinway tone and quality that, in my biased opinion, is hard to match. 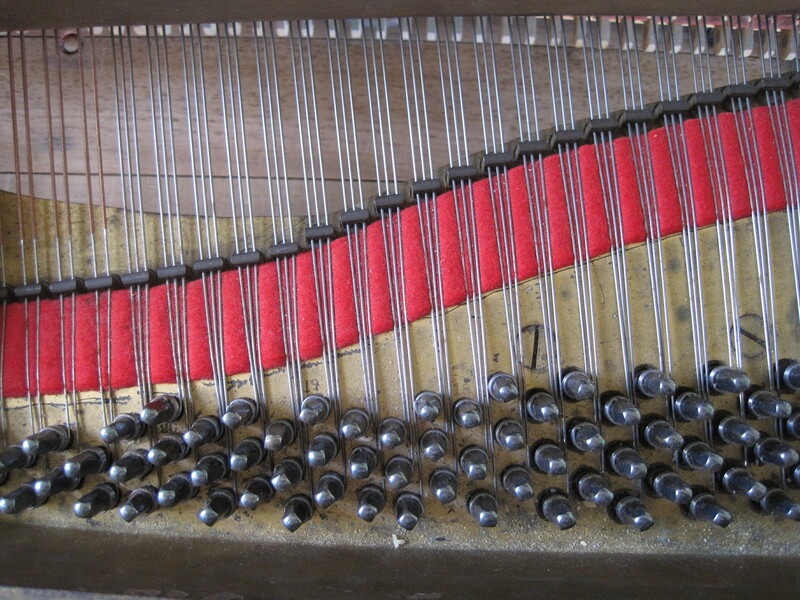 (but loyalty to pianos is rather like the traditional Chevy/Ford/Dodge rivalry) Admittedly, it does have a few quirks in its temperament making it very unforgiving for people who don’t have strong hands and control. Lovely pictures of the insides! I imagine Helen Adelaide marrying Mauritz VLS in the keeping room (1905? ), with the piano there– and then making the (train?) journey back from California to help her mother host a concert soiree in the same room in 1910. Probably with four-year-old Ailee on the seat beside her and baby Lucy in her arms. Almost certainly by train. They held a number of concerts here, the acoustics are well designed for the piano. In fact, I imagine the room was built with an eye to a Steinway grand being in it. H.A.E.’s aunt Fanny was an accomplished pianist. Helen and Mauritz were married on the lawn outside, an altar of sorts was nicely formed on the East Lawn by the two big Norway Spruces (one of which still stands). Several other women from Esperanza were married there, all using the same rug and pillows to kneel on. It was quite the wedding, apparently!